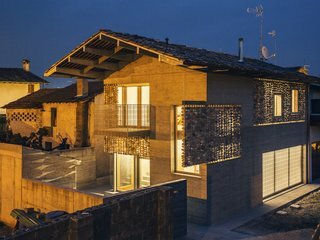 ElasticoSPA rises above byzantine building codes by designing a playful Italian home with a quirky stone facade. 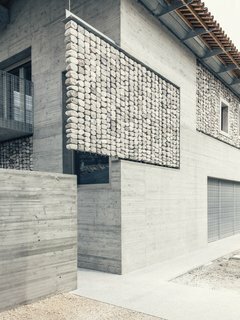 Located in the historic center of San Quirino, Italy, Stoned is a single-family home with an attached guest house designed by architect Stefano Pujatti, founder of ElasticoSPA. 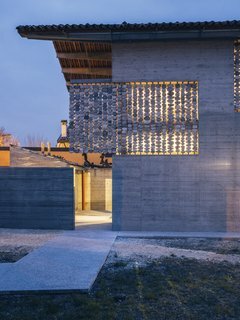 Pujatti outfitted the guest house with surprising "stone curtains" that add a beautiful textural layer while shielding the project from the sun and helping it comply with the city's strict building code. Light shines through the home's stone curtains at night. 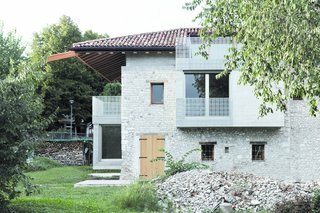 The home reinterprets the city's building code, which governs the use of stone in the seismically active region. The building code of San Quirino's historic center presented a major challenge—and served as a source of inspiration for the architect. 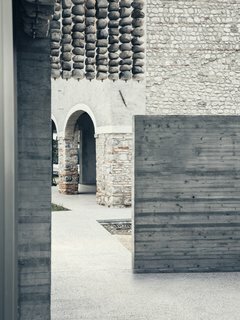 One bylaw dictates that stone must be used for all renovations within the historic center, while another states that a structure cannot be made of stone, as it is the most unsafe material to use in the seismically active area. 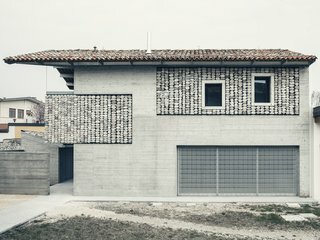 The contradicting bylaws inspired Pujatti to develop a fresh interpretation of the city's building code. 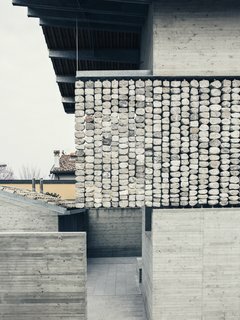 "This usually means that stones are applied to a concrete structure and only serve a decorative purpose," explains Pujatti. 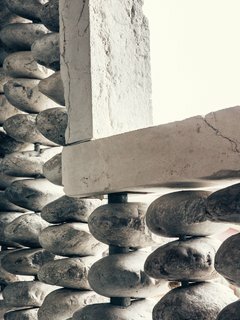 "We decided to be even more decorative—and play with the rules—so we separated the two materials and created the ‘flying stone curtain,’ leaving the concrete to keep its structural purpose." 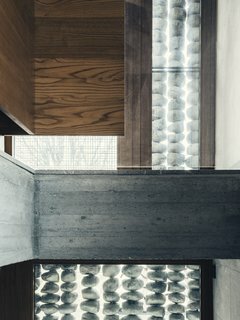 Stoned was recently nominated for the 2019 EU Mies Award. The new guest house stands on the footprint of the original building. 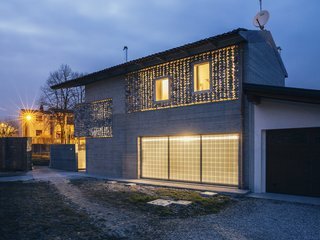 The guest house plays with the concept of using stone for decorative purposes. 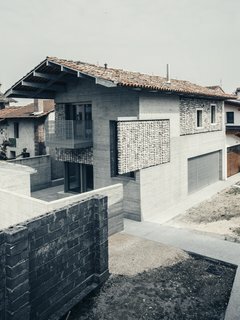 Pujatti deconstructed the "normal" style of building and separated the stones from the concrete. The preserved stone walls and arched portico of the main residence, as viewed from the guest house. The texture of the "flying stone curtain" against the traditional rooftops. 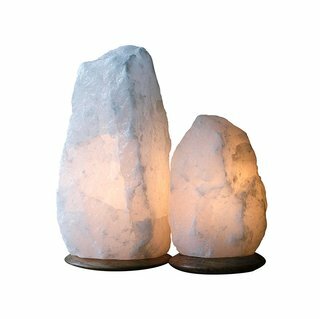 Purify the air in your home and rejuvenate your senses with this unique Himalayan crystal salt light. It's carved by hand from solid blocks of pure rock crystal salt excavated from pristine sea beds in the Himalayan Mountains. 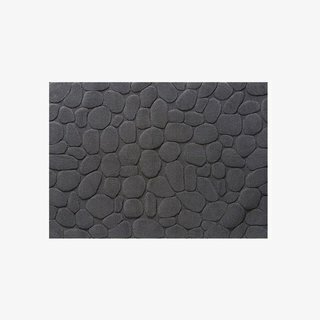 Woven bathmat from Morihata in Grey. Pebble stone design. Soft, padded texture. Highly absorbent. 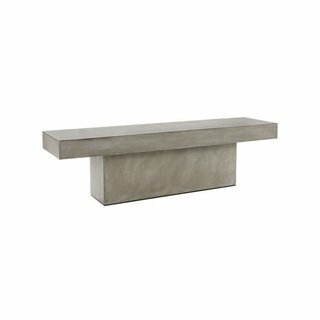 A larger take on our Fuze Grey Bench. Aggregate of marble, granite, stone and natural fibers cements sculptural industrial chic seating for four. Clear non-toxic wax finish protects. Maintain large grey bench's honed beauty and natural intonations with car wax or stone floor polish. Light is a fundamental element of the home. 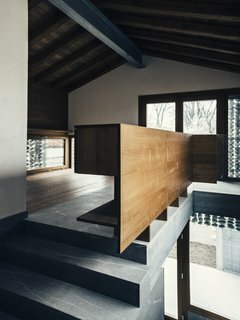 The balance between large openings and small windows enhances the interior space. 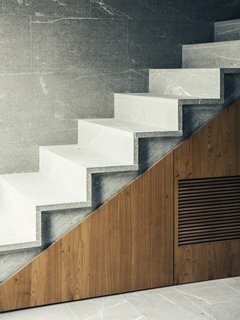 Wood panels strike contrast with concrete and stone walls to keep the space from appearing too cold. A closer look at the stone curtain. 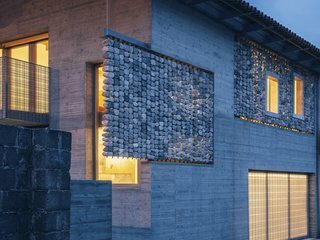 The stone curtains give the facade a special inner glow. The home lights up from within at night.